SANLiC assists member institutions and client libraries to acquire better value for money digital collections than they could individually. Working on a non-profit, cost recovery basis, it primarily harnesses collective buying power to negotiate and secure electronic license agreements for digital content. SANLiC is the leading facilitator of cost effective access to high-quality scholarly electronic information in support of research, teaching and learning in Public Higher Education and Research Institutions. SANLiC facilitates, on a non-profit basis, affordable access to scholarly electronic information in support of the learning, teaching and research activities of its members. SANLiC negotiates collective license agreements with publishers and aggregators. It also promotes the use of high-quality, open access electronic information resources. 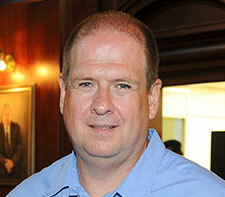 Glenn Truran is based in the SANLiC office in Cape Town. After graduating from the University of the Witwatersrand (Wits), he worked as an educator in South Africa and England. He has worked for poverty alleviation non-profit organisations for most of his career and has over 20 years’ experience at a managerial level. He has a BA and two post graduate diplomas from Wits, the first in education and the second in public policy and development administration. He also has an MBA from the University of Cape Town. 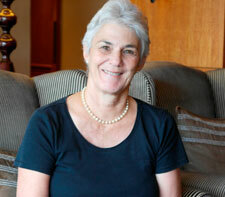 Nora Buchanan is based in Durban. A graduate of the University of KwaZulu-Natal, Nora completed her PhD in Information Studies in 2009. She has worked at the Johannesburg Public Library, in the library at the Anglo American Corporation of South Africa and, for 32 years, in various positions in the library at the University of KwaZulu-Natal, retiring from the position of Director of Library Services in 2014. 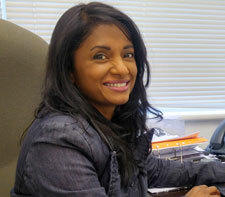 Naomi is the anchor in the SANLiC office in Claremont, Cape Town. Her vibrant and friendly character will welcome you. Her work experience includes administration, public relations and managing the Kwa-Zulu Natal Province office of the Paraffin Safety Association. She has completed two years of a three-year B.Com HRM degree (MANCOSA). Ms Laila Vahed is the Director of Library and Information Services at the University of Zululand, a position she has held since 2003. 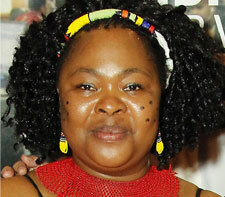 She holds a Masters Degree in Information Studies from the University of Natal. Laila has held portfolios in various library structures over the years, including LIASA and the NCLIS. She also co-chaired the IFLA WLIC National Committee for the 2007 congress. 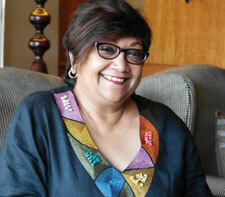 Ms Ujala Satgoor is the Director: Rhodes University Library Services. With over 25 years experience, Ujala has embraced a leadership role on various national and international boards and committees. She is the Immediate Past President of the Library and Information Association of South Africa (LIASA) and served as Co-Chair on the 2015 IFLA National Committee. She has earned an excellent reputation for library leadership development, library grants management and strategy formulation and has presented variously on libraries on the development agenda, library leadership and continuing professional development. Mr Robert Pearce is the Director of Library and Information Services at the Nelson Mandela Metropolitan University Library in Port Elizabeth. Originally from Pretoria, he is a graduate of the University of South Africa where he obtained a Masters in Library and Information Science. He has been working in Public and Academic Libraries for the past 41 years and has occupied senior positions at academic libraries at the University of Venda, Vaal University of Technology and the University of South Africa Library. He has published in library and information science journals and also in literary magazines and anthologies in South Africa, the Netherlands and Belgium. 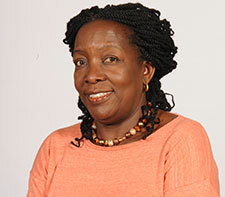 Ms Agyei is the Director of Library and Information Services (LIS) at Tshwane University of Technology. She has experience in provincial and academic library services; including at North-West University and the University of Venda. She became Director at then Technikon North-West Library in 1999 until the merger of the Tshwane-based Technikons in 2004 when she assumed responsibility for the merger of the Technikon libraries. Vivian is a current member of the South African Library and Information (SALI) Trust and has served as Trustee on the TUT Pension Fund. She served as Chairperson of the Committee of Higher Education Libraries of South Africa (CHELSA) and is currently in her second term as the Committee’s Treasurer. She presented papers at national and international conferences, including IFLA, Online Educa Berlin and LIASA with interest in library electronic service provision, funding and mergers. Ms Sarah Kibirige is the Director of Library & Information Services at Sefako Makgatho Health Sciences University (SMU). A graduate of Makerere University in Uganda, Sarah also holds an Honours degree in Library Science from the University of South Africa and a Masters degree in Library Studies from the University of Pretoria. She has over 30 years’ experience in academic libraries and has held senior positions at North-West University, Monash South Africa, Stellenbosch University, Tshwane University of Technology and Vaal University of Technology. Sarah is a corresponding member of the IFLA Health and Biosciences Libraries Committee. 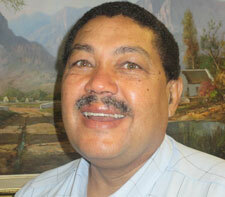 Mr Hardy Maritz is the Group Finance Director at the University of Cape Town. A graduate of the University of Natal (now University of KwaZulu-Natal), Hardy served articles with KPMG and moved into higher education after completing successful international contracts with Shell International/Exxon Mobil and Ralston Energy Systems. He has a 17-year record of accomplishment in higher education leadership in all spheres of finance. 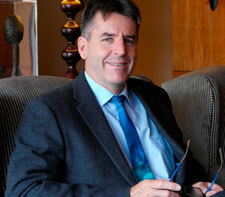 A founder member of the Finance Executive Forum of Universities South Africa (USAf, formerly HESA), Hardy currently serves as a Director on the Board of the Tertiary Education and Research Network of South Africa (TENET) and is a member of TENET’s Remuneration and Audit and Risk Committees. 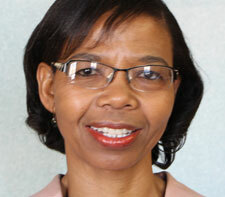 Ms Segametsi Molawa is the Director: Information Resources Distribution at Unisa. She has a Masters in Library and Information Science degree from the University of Pretoria and has served the library and information services (LIS) community for over 30 years, more than half of which have been in leadership positions. 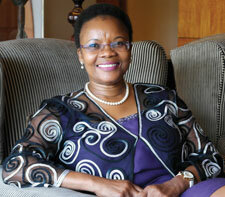 Segametsi is a past president of LIASA and co-chaired the IFLA WLIC National Committee for the 2015 congress. She was part of the team that finalised the Library and Information Services Transformation Charter that was endorsed by the Minister of Arts and Culture in April 2014 and has also served on a number of advisory boards within the LIS sector. 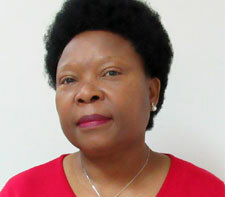 Pateka Ntshuntshe-Matshaya is Library Director at the University of the Western Cape (UWC) with over 30 years’ experience in libraries, of which more than 20 years have been spent in leadership positions. She is currently pursuing a PhD in Library and Information Science through a joint programme offered by UWC and California State University, Fullerton. 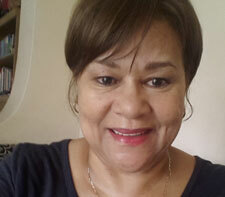 Pateka is an active member of various professional organisations; she has served as the Chairperson and Deputy Chairperson of CHELSA and the Deputy Chairperson of LIASA’s Western Cape Branch as well as on a number of working and steering committees. She has presented papers at several international conferences and represented South Africa on the US Embassy’s International Leadership Development Program. Pateka has recently been nominated as the African coordinator of the Qualitative and Quantitative Research Methods chapter of the International Federation of Library Associations (IFLA). Professor Rocky Ralebipi-Simela is the National Librarian & Chief Executive Officer of the National Library of South Africa. She has served the library and information services community for more than 30 years with dedication. Before joining the National Library of South Africa, Rocky served in different portfolios in universities in South Africa and the United States of America and is the current chair of the African Library & Information Associations (AfLIA) National Libraries Section. 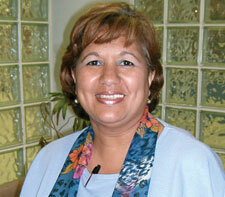 Mrs Lucille Webster is the Director of the Durban University of Technology Library. She is a graduate of the University of South Africa where she obtained a BBibl degree and the University of Natal where she obtained her postgraduate qualifications exiting with a Masters in Information Studies. Lucille has served on the National Council for Library and Information Services (NCLIS) for two terms from 2008 – December 2014. She also served on the Executive Committee of LIASA for several terms holding different portfolios. Membership of SANLiC is for South African Public Higher Education Institutions, Statutory Research and Science Institutions, or other Public Entities. It is based upon application and is granted at the sole discretion of the Board. SANLiC also offers services to libraries of non-profit institutions that are not eligible for membership. Only not for profit entities need apply. Prospective member and client institutions may request application forms from the SANLiC office. Once satisfactorily completed and returned to SANLiC, the application will be submitted to the SANLiC Board for consideration. Previously known as the Coalition of South African Library Consortia (COSALC), SANLiC was initiated in 1999 by representatives of several regional academic library bodies, who were all at the time, sub-committees of the regional academic consortia. A decision was taken to establish COSALC as a national umbrella organisation with the vision “to enhance access to information and the sharing of resources to benefit the clients of library consortia in South Africa through national co-operation.” It was subsequently also decided that COSALC membership would include not only the regional academic consortia, but also the public research consortium, as well as the National Library of South Africa (NLSA) and the Library and Information Association of South Africa (LIASA). COSALC’s main operational and strategic focus was aimed at national level. It had as its main focus access to electronic information through the establishment of the national site licensing activity within its structures which became widely known as the South African Site Licensing Initiative (SASLI). Its role was to establish needs; negotiate licenses and prices with publishers; co-ordinate access, delivery and training; and deal with other issues related to the cost-effective use of electronic information. In 2003 COSALC was registered as a Section 21 (non-profit organisation) company in terms of the Companies Act. The South African Revenue Service (SARS) approved its application for tax exempt status in March 2005, and in the same year it was also registered as a Public Benefit Organisation (PBO) in terms of the Non-Profit Organisations Act (Act 71 of 1997). On 21 June 2011 the Coalition of South African Library Consortia (COSALC) name was changed to the South African National Library and Information Consortium (SANLiC). On 27 August 2015, SANLiC was registered as a VAT Vendor with the South African Revenue Service. On the National Treasury Central Supplier Database (CSD) for Government as a supplier with level four (100%) B-BBEE procurement recognition. Click here to contact SANLiC if your organisation requires SANLiC’s Supplier application and registration reference numbers to access the supplier data . SANLiC’s registered company name is South African National Library and Information Consortium of South Africa (RF) NPC, a ring fenced, membership-based, non-profit company. As a consortium SANLiC enables members to collaborate for mutual benefit including, but not limited to, negotiating better prices, terms and conditions for electronic library and information resources. Why does SANLiC have a small “i” in its name? A small “i” is the international symbol for “information”. Click here to find out more about SANLiC!